Dynamic memory allocation, memory is allocated only when necessary. 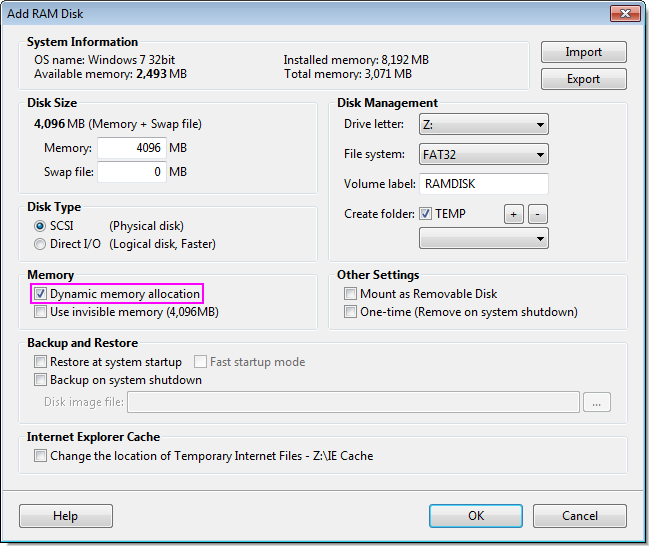 Can effectively take advantage of the RAM Disk. Necessary support to the Trim. The disadvantage is that at the time of memory allocation delay.